Portland has a pretty big crafting scene, and a few times a year the excellent crafters in town come together for a big show and this weekend is a good one. It’s called the SHOW OF AWESOME! How can you resist a name like that? 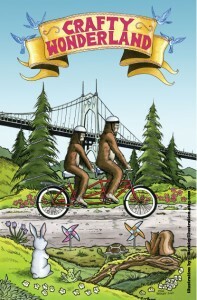 Saturday, June 19th, in the Doug Fir Lounge , brought to you by the ladies from Crafty Wonderland and Hello Craft. 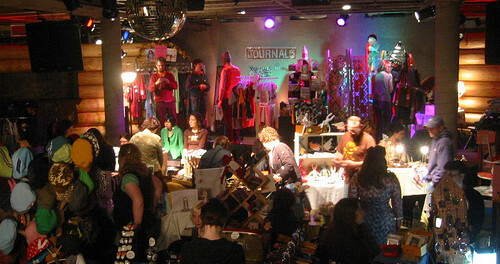 Craft Wonderland is one of the those craft gatherings I wrote about. They used to host a show once a month at the Doug Fir, but recently scaled it back, to 2-3 times a year. There will be people selling handmade clothes, bags, jewlery, pictures, buttons, post cards, all kinds of stuff. 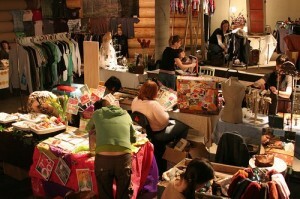 I usually come out of there with some cool stuff and lots of inspiration to take home and make stuff. This show is in connection with another event called… are you ready for this? The Summit of Awesome! “An annual conference that brings together crafters and makers from across the U.S. to learn, grow, and be prosperous in this ever-changing economy.” That’s taking place at the Kennedy School, June 16-18, if you are interested in attending.